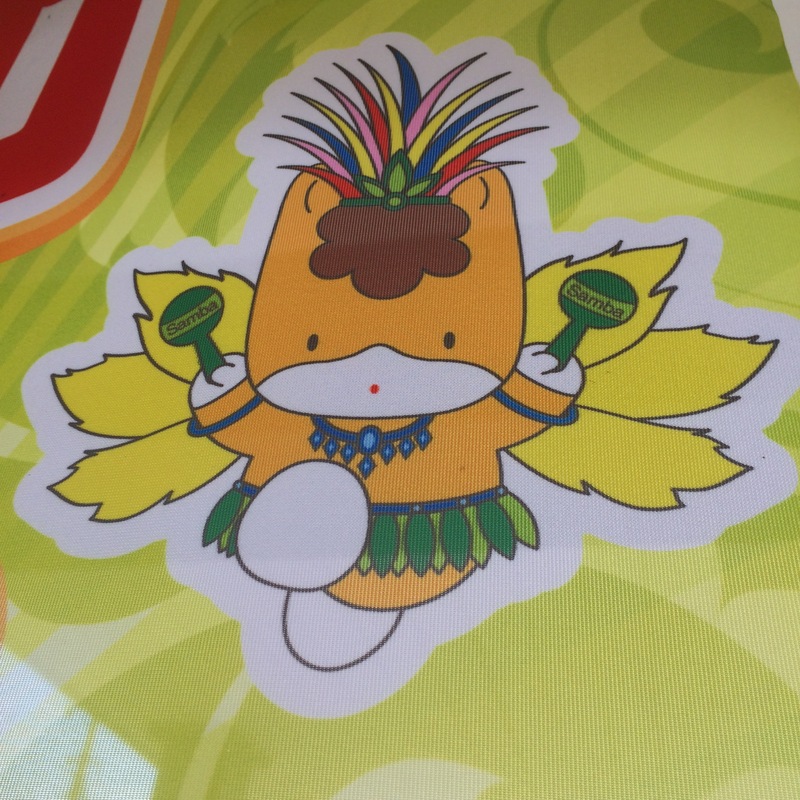 Oizumi Carnival and the Samba-dancing Gunma-chan! Last week, the Gunma Tourism Association posted this fabulous picture on Facebook, announcing that the Ooizumi Carnaval would be taking place this weekend. Samba dancers, international food, what could be better? I’ve been meaning to check out “Brazilian Town” for a while, so it seemed like a great reason to go. There’s a long history of immigration between Japan and Brazil, and Oizumi is one of the centers of the Brazilian population in Japan. 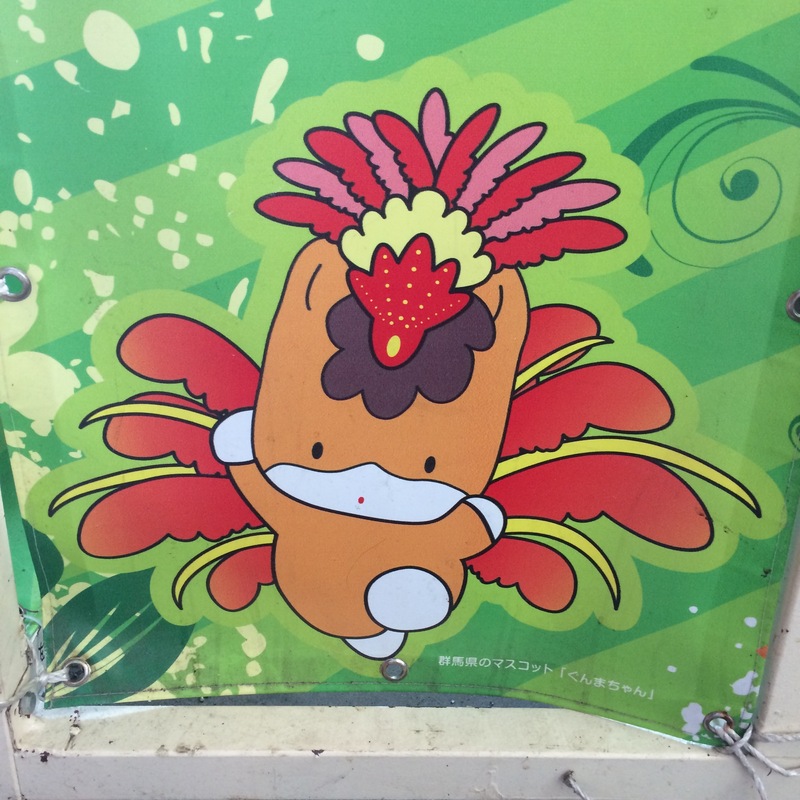 I was shocked to discover that there’s not one or even two special localized Gunma-chan’s for the area–there’s five! 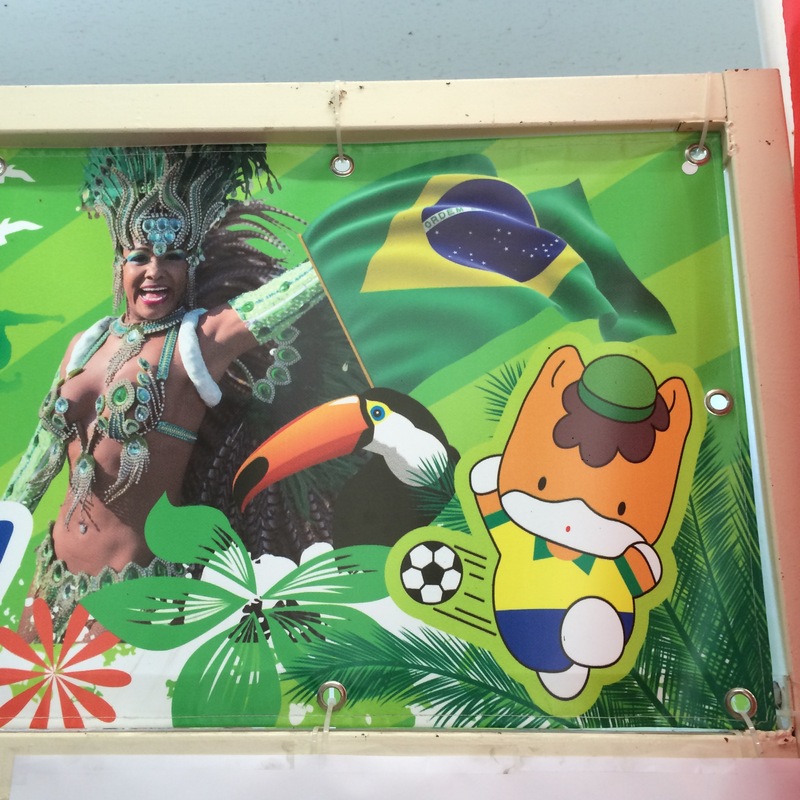 A flag bearer, a soccer player, and no less than three different samba outfits. Pretty impressive! There was a Samba competition all afternoon, with the pony himself kicking off the proceedings. 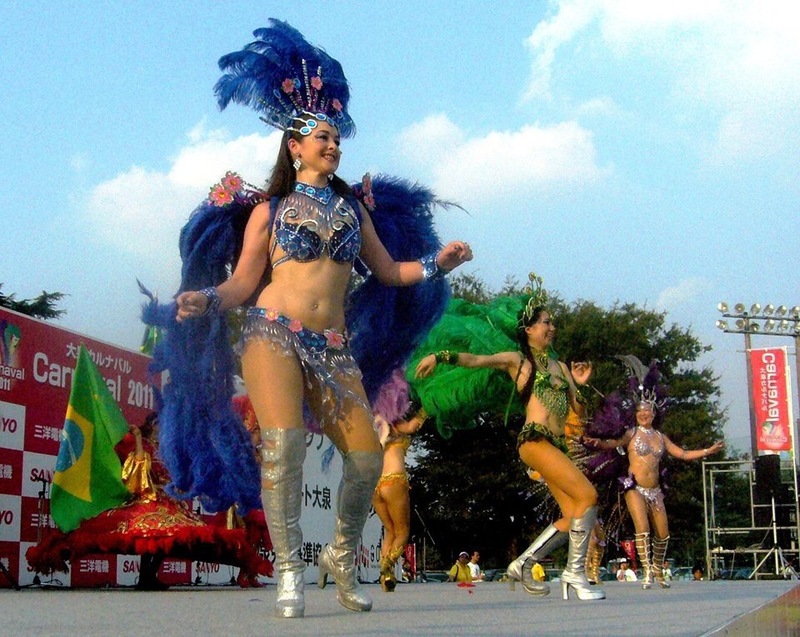 Most of the feathery sparkly outfits were fairly skimpy–it’s really unusual to see so much skin in Japan! All of the dancers were incredible, though the more covered up ones looked like they were dying in the end of summer sun. The main attraction for me was the food! Brazilian barbecue, sausages, empanadas, the best churro of my life (filled with Dulce de leche, YES PLEASE.) 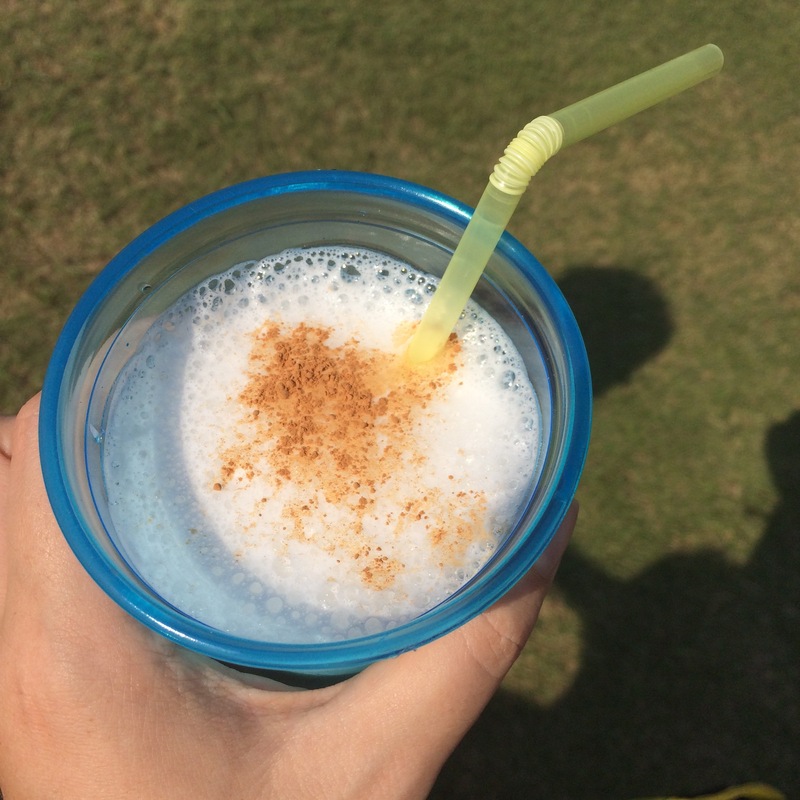 Also, why didn’t anyone tell me that Pisco Sours taste like magic? My only disappointment was that the festival was only one day, so we couldn’t go back for more! It wasn’t just Brazilian food either, of course. Lots of Peruvian, Japanese, Indonesian…there was even an adorable Russian food truck! Their Borscht was just a plain veggie soup though–are the beets optional? Anyway, pretty much everything we ate was delicious! 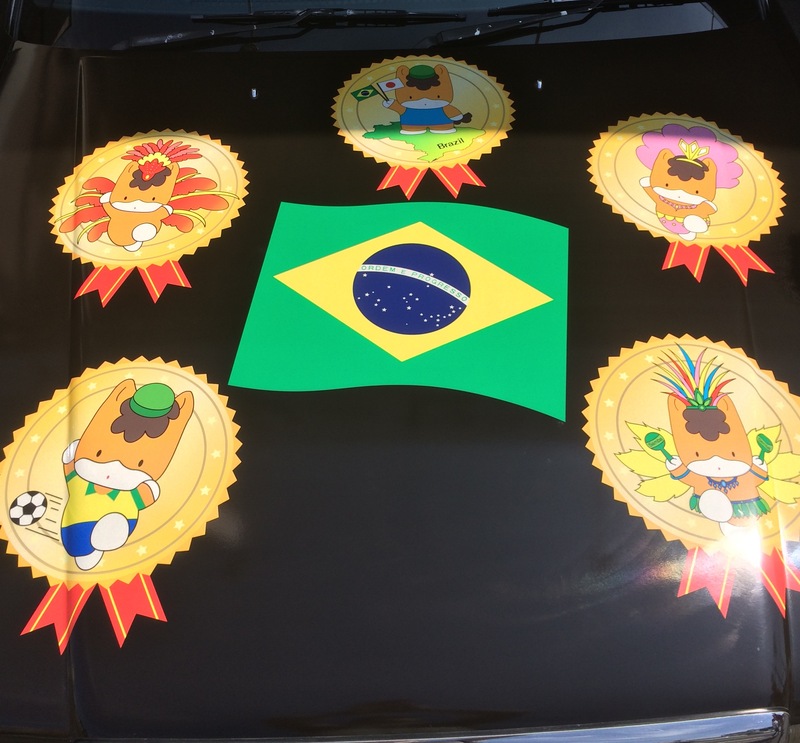 This entry was posted in Gunma, Japan and tagged barbeque, brazil, brazilian, carnaval, carnival, churro, delicious, empanada, food, Gunma, Gunma chan, oizumi, ooizumi, samba, soccer, yummy. Bookmark the permalink.